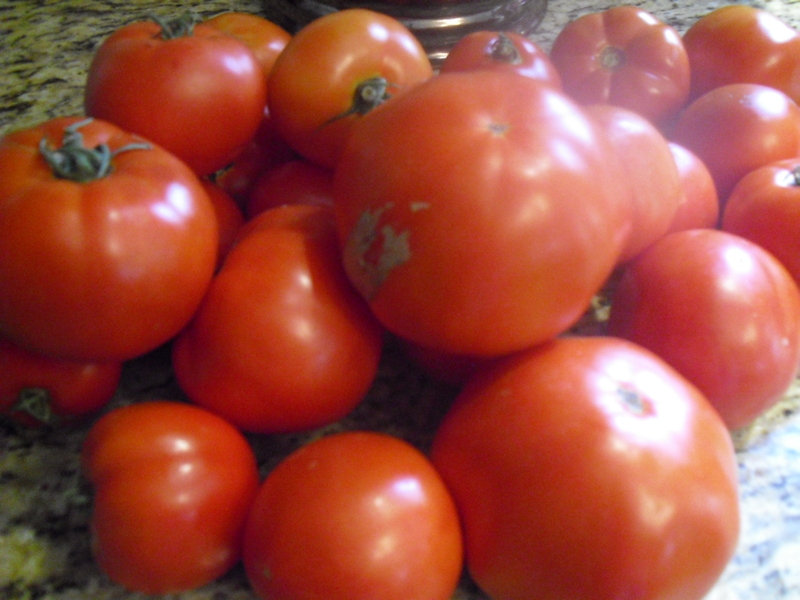 TOMATO CRAB PIE TONIGHT? A tasty way one-dish meal with tomatoes juicy ripe homegrown (or farmer’s market) fresh from the garden. As the end of August heats up in North Carolina, time is fleeting to continue to enjoy these seasonal delights. I CAUGHT A FEW MINUTES of a Martha Stewart cooking show today showing her tomato cheese tart. I was inspired to create a new recipe for our dinner with freshly picked tomatoes using some fresh crab meat on hand. 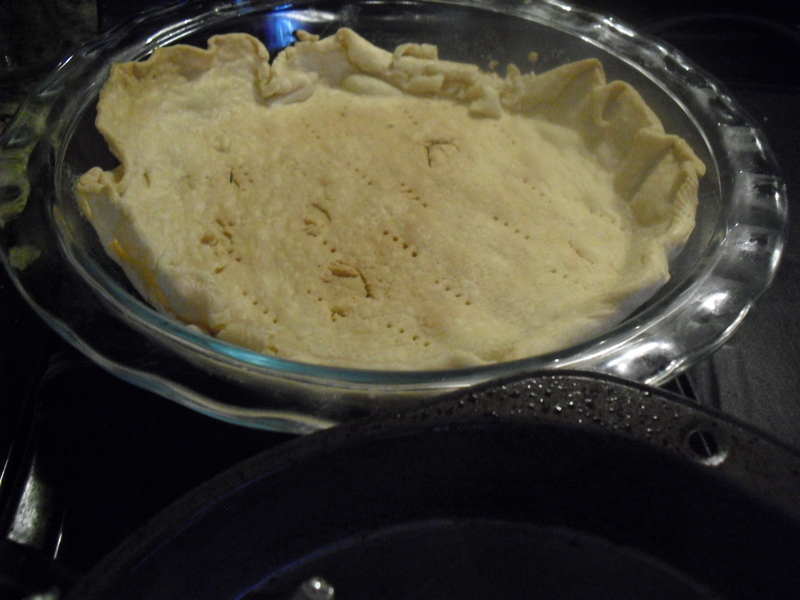 FIRST, PREPARE A BAKED PIE CRUST. I used a refrigerated crust and baked in a 375 degree oven until lightly browned. 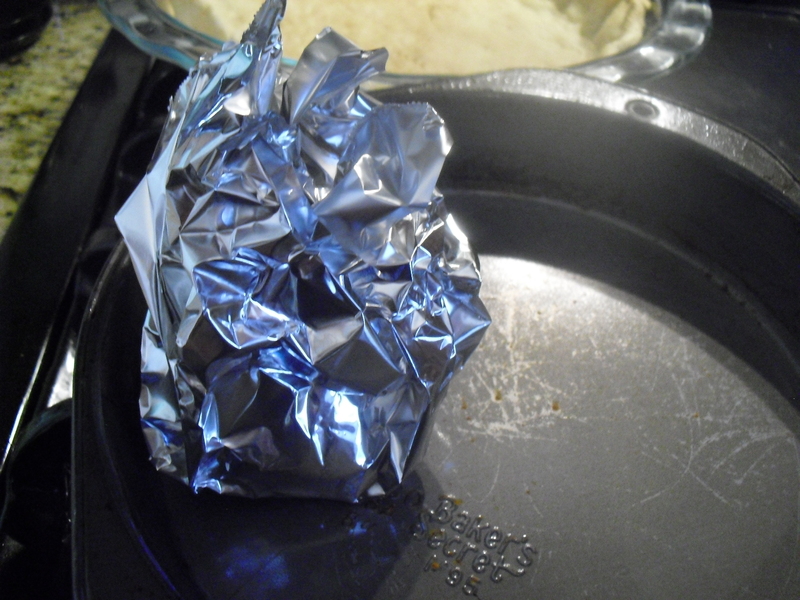 TWIST ALUMINUM FOIL around a garlic bulb and roast in oven at same time as tomatoes. 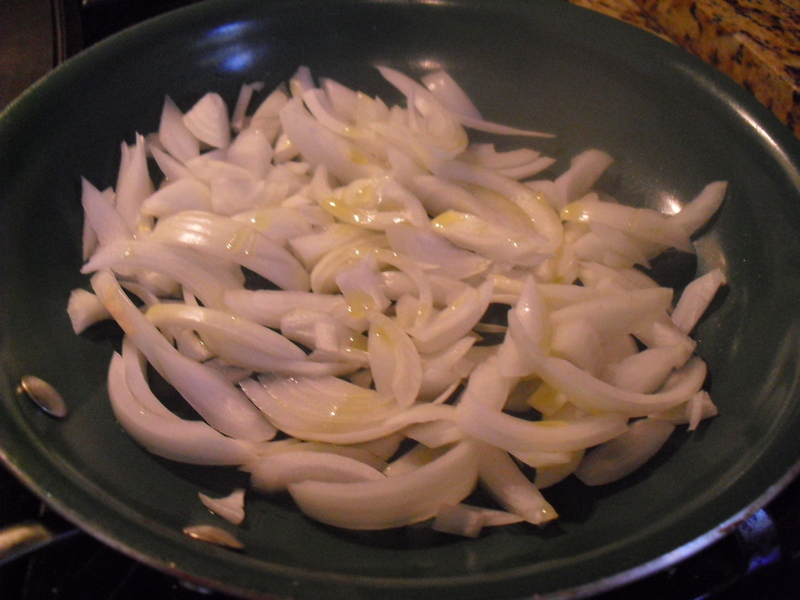 WHILE TOMATOES AND GARLIC are in the oven, slice a large onion and stir fry in a small amount of olive oil and a pat of butter. 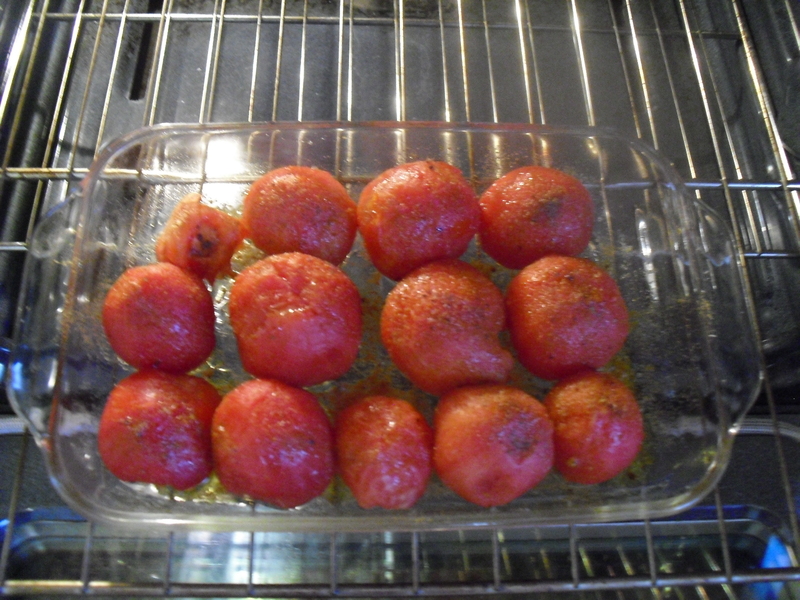 ARRANGE TOMATOES, touching side by side, over garlic spread in baked crust. 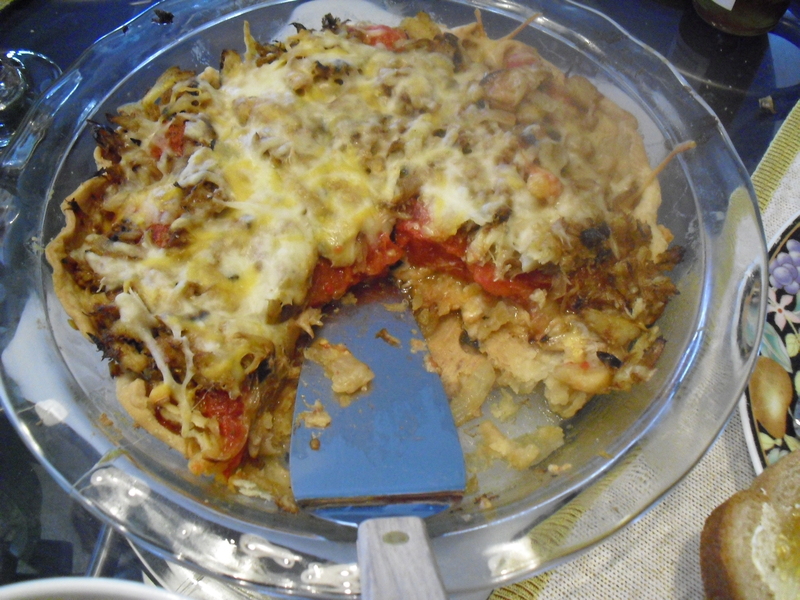 Layer 1/2 of the onions on top of tomatoes, then add a layer of shredded cheese. 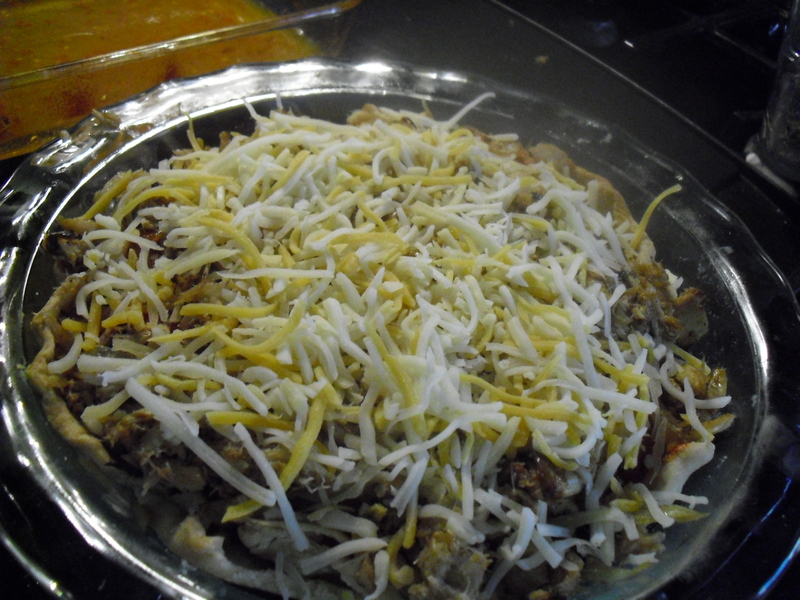 (I used 3 cheeses I had available: Monterey Jack, cheddar and asadero – a low fat mixture). MIX CRAB MEAT in separate bowl with seasonings and rest of the onions, and layer onion-crab meat generously over and around tomatoes and cheese. I used cooked crab meat and several seasonings (basil, oregano, papricka, salt, pepper, celery seed). Bake at 350 degrees for 45 minutes to blend flavors. SERVE WITH TOSSED SALAD, garlic toast, peach ice tea, and lemon sherbet for dessert. 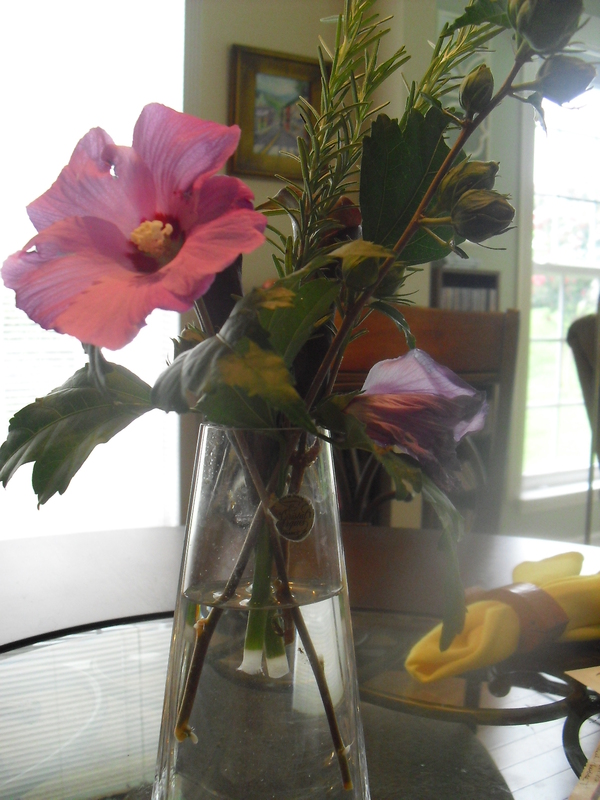 ADD FRESH FLOWERS to the table and dinner is served. WE THOUGHT IT WAS DELICIOUS. Next time, I think I’ll add some carrots and just a taste of bell peppers, sauted with the onions. If you have ideas for improving this recipe, I would love to try it. I love crab meat and this pie sounds delicious! Let me grab my purse, I’ll be right over. 😀 Sounds delicious.